We are so delighted that you have decided to purchased No Prep Yoga Plans! I believe you will love No Prep Yoga Plans as much as I do. Here are a few questions you might be asking! Absolutely Yes! With this prelaunch order you are receiving the Modern Email Marketing Guided to help you boost your yoga business. While you are waiting to receive your download or hard copy of No Prep Yoga Plans, I would encourage you to read through the guide and begin to implement the steps outlined in the book. It really has some great suggestions and if you follow them, you will definitely see results. DOWNLOAD MARKETING GUIDE & RESOURCES. You should receive copy of your downloadable ebook as soon as order is completed via email. If you do not receive right away, please first check spam and then contact us. See contact information below. 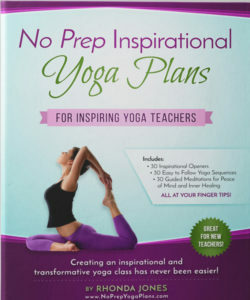 If you ordered the Yoga Studio Versions you will also receive a downloadable copy of No Prep Yoga Plans. 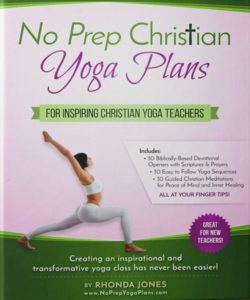 Please email us at info@noprepyogaplans.com and let us know which Ebook you want, Christian or Inspirational? With a Yoga Studio purchase you can download two copies of the guides for use at your studio. Please see terms and agreements for additional uses and limitations. Thank you. So when will I receive my No Prep Yoga Plan Hard Copy? You will receive a link to download the ebook within 24 hours. If you ordered the hardcopy you can expect to receive your order in 2-3 weeks, shipping time may add a day or two. We will send you a confirmation when your order has been shipped (if applicable). We want to get it to you as soon as possible! BTW…This purchase was made through Clickbank. Have a Question? Technical Support? Please note that your credit card will show as a ClickBank or CLKBANK*COM purchase. Will be delivered to you via email directly after purchase of downloadable products. Return Policy: Please return physical products in new condition or request product refund for downloadable products within 30-days of purchase to receive refund. Products requiring shipping will be sent via United States Postal Service.